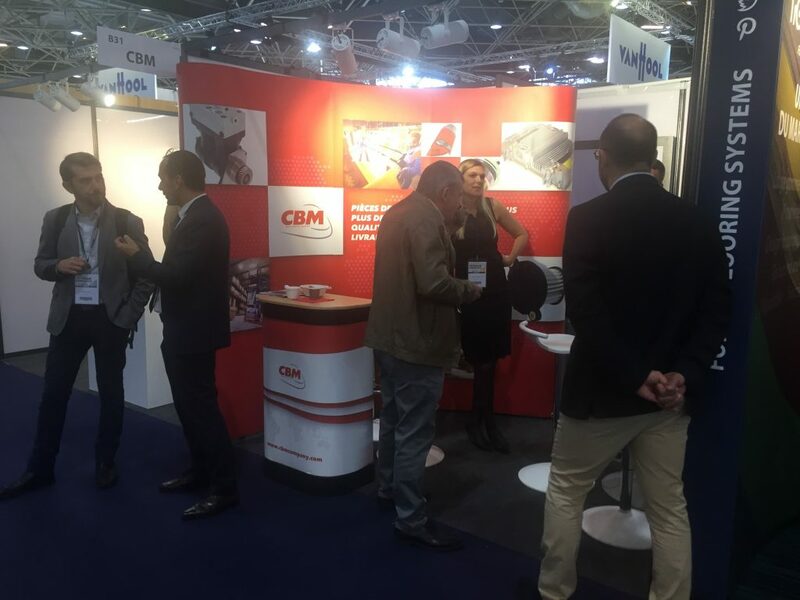 For its second consecutive event, CBM is taking part in the sixth “AUTOCAR EXPO” trade fair from October 17 to 20 in Hall 6 of the Parc des expositions de Lyon Eurexpo. This national biennial trade fair aims to promote coach tourism and mobility. Founded by ten coach manufacturers (FAST, IVECO BUS, MAN / NEOPLAN, MERCEDES-BENZ, DIETRICH CAREBUS GROUP, VAN HOOL, VDL Bus & Coach, VOLVO, SCANIA and SETRA), this national event attended by French and European players in the field of coach tourism and mobility is held every two years to promote new developments in the sector . It is an opportunity for industrialists including manufacturers, coachbuilders, motorists and equipment manufacturers, and service providers in the banking, insurance, training, IT and other sectors to share their latest developments in the mobility sector. Organized every two years in a different French city, this four-day event is a 19,000 sq.m. showcase for the sector and attracts more than 100 exhibitors and 6,000 visitors for 850 dynamic tests. Since 2008, the number of exhibitors and visitors at the AUTOCAR EXPO trade fair has grown steadily by 15% to 20%. Held in the city of Lyon, this year’s show will include daily events, dynamic testing of new vehicles, eco-driving sessions and fun entertainment. Meet the CBM team at stand B31! Returning to AUTOCAR EXPO in 2018, the CBM sales teams will be on hand to present our wide range of consumer spare parts and captive technical parts for buses and coaches. We are looking forward to meeting you at stand B31 to discover our latest products and commitment to the sector. Learn more about the program: http://autocar-expo.com/fr/le-salon/program/.